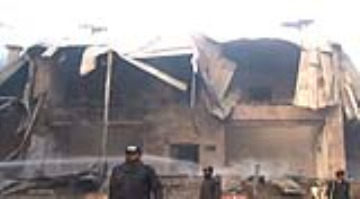 QUETTA: Three rockets were fired from unknown location in Ziarat, killing a policeman and erupting fire at Quaid e Azam Residency in the wee hours of Saturday..police said. According to the police, the fire complete burnt the historic building and furniture of Quaid e Azam Residency. Fire Birgades were called in from Quetta which extinguished the fire after four-hour long struggle.